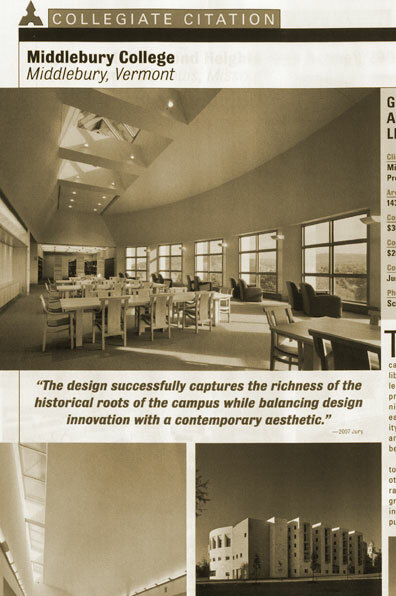 The new college library was conceived as the first step toward fullfilling the master plan for the development of a campus intellectual and social center. The librar is a state-of-the-art research and learining facility, combining a traditional print collection with the latest communications technology. Situated on the eastern edge of the front quad, the facility also establishes a new campus center and engages the existing relationship between the college and the town.